Dark Sun: Wake of the Ravager was, years before Baldur's Gate, one of the most impressive Dungeons & Dragons games to give you real choice and consequence. Throughout the game, your actions would determine what happened to those around you; retreat and leave important allies behind and they'd die, leaving you to try and figure out how to make further progress through the game by yourself. 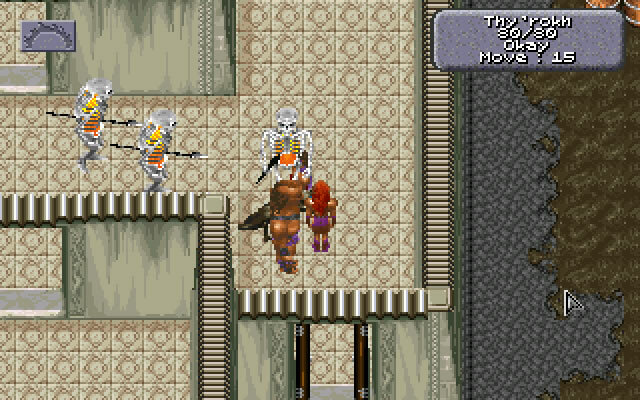 Throw in a dark, harsh, setting, and you've also got one of the most distinctive RPGs. Wake of the Ravager is not very well known by today's standards, but it really paved the way for so much of what we've come to enjoy in modern RPGs. 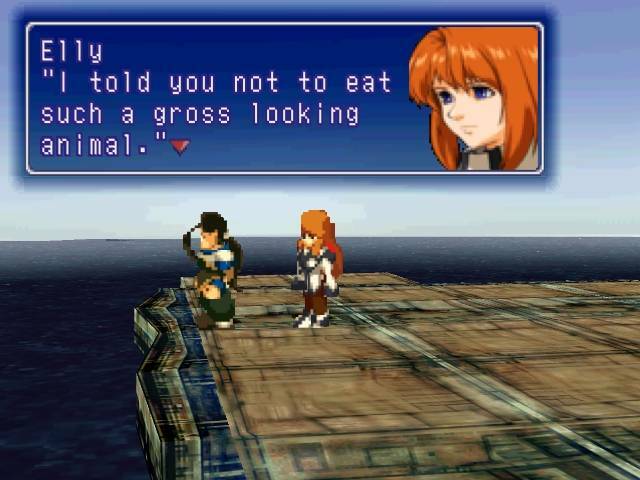 Xenogears is the game that would seed Monolith Soft, which has since become one of the most important development teams within Nintendo's stable. That in itself makes it important, but the game is remarkable for a number of reasons. It's unafraid to tackle heavy religious themes, and is generally regarded as one of the more complex games, philosophically. Even if that's not your thing, the game offers delightful characterisation, storytelling, music and a stylish combat system. To think this was almost going to be Final Fantasy VII. We almost wish it was. Baldur's Gate is easily the most well known and important game developed within the Dungeons & Dragons franchise. It also set in stone the formulas that would become critical for western RPG development; the sense that the broader story is never as important as the side stories, complete freedom to go where you want to and do what you want to at any time, and a complex morality system that would affect who could join your party of heroes, and how the rest of the world would respond to them. Baldur's Gate also has exceptional storytelling, a complex, rewarding combat systems, and vivid environment and level design. This is a tactical RPG that is so different and unique that, to this day, you're not really going to play anything like it. It's best known for the fact that it's a musical. That is to say that instead of standard cut scenes in which characters talk to one another, in this one, they actually sing. Odd, right? Odd, but also wonderful, cute and completely charming. 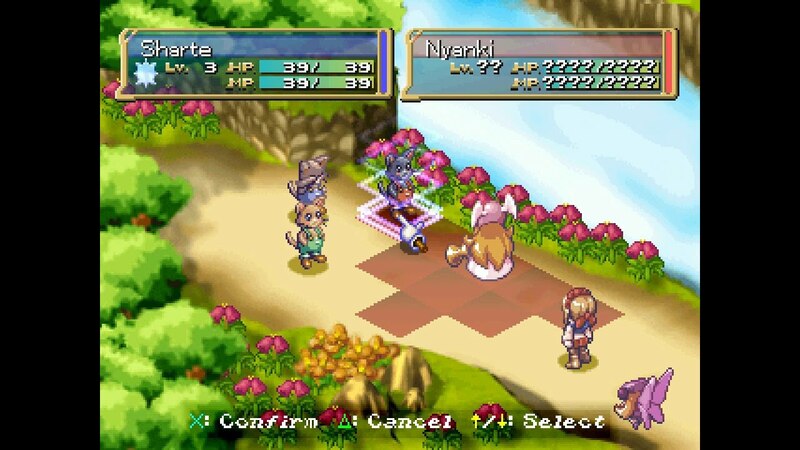 It's also about as "easy" as tactics RPGs get, so it's the kind of game that anyone can play and be utterly charmed by. It's a pity that the idea hasn't taken off and more clones developed, because once you start playing a musical RPG you will find yourself wishing that there was many more to play. 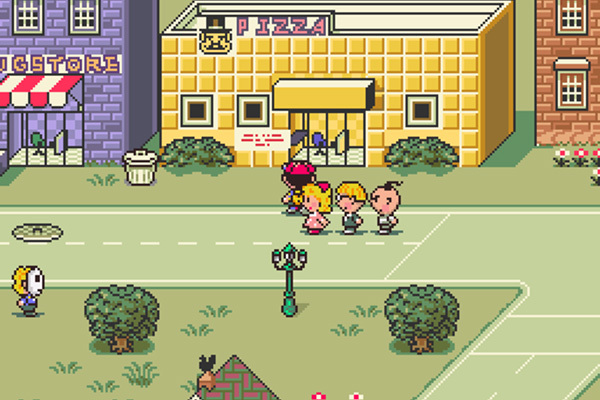 EarthBound thrusts you into the role of Ness, a humble suburban child burdened with saving the planet from an apocalyptic future. Typical fantasy stuff. In every other respect, though, this was a game that defied the RPG conventions and expectations of its era. You healed using burgers instead of potions, you fought melting clocks from Dali’s Persistence of Memory instead of goblins, and you used frying pans instead of swords. With an inimitable sense of humour that incorporated absurdism, fourth wall breaking, and non sequiturs, EarthBound didn’t always make sense taken literally, but neither does life. It’s a timeless adventure story that broaches what it means to grow up, using every little moment to full effect. Despite all the gags, it’s capable of eliciting powerful emotions without the need for heavy-handed characterisation. 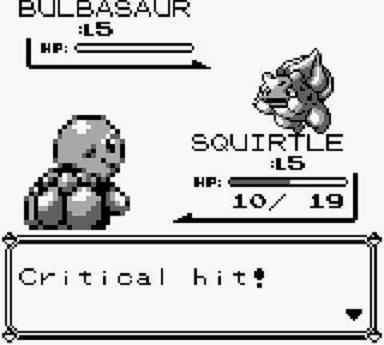 Get through to the end and you’re rewarded with one of the most famous battles in video games; one that isn’t about literal challenge but a psychological test of will. EarthBound has only become more relevant since its release, shaping childhoods and inspiring the creation of smash hits like Undertale. To this day if you ask people which is the best Final Fantasy game ever developed, you can be pretty sure that this one is going to be ranked up there. It's because of a couple of things; the storytelling and world itself are both fascinating, the large cast of characters (both good and evil) are colourful, and the combat system is refined, challenging, and rewarding. 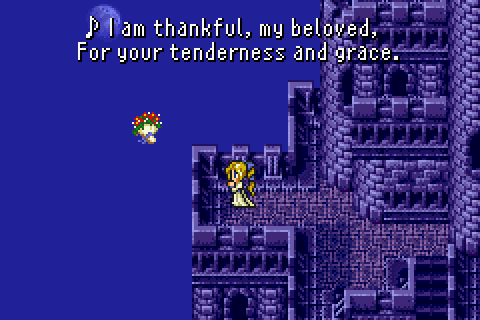 Final Fantasy VI also has some of the most memorable scenes in any Final Fantasy game; who can forget that Opera scene? 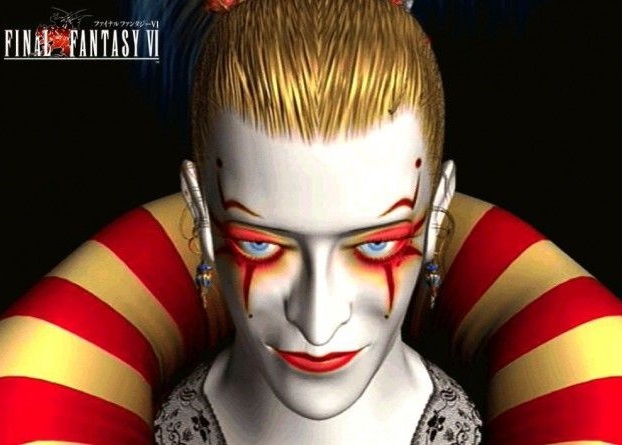 Or how we're introduced to Kefka, the cackling nihilistic "madman" that quickly became the most distinctive and terrifying villain in the series? Square Enix really produced a masterpiece with this game, and it's hard to imagine that it will ever leave the mindset of JRPG fans. 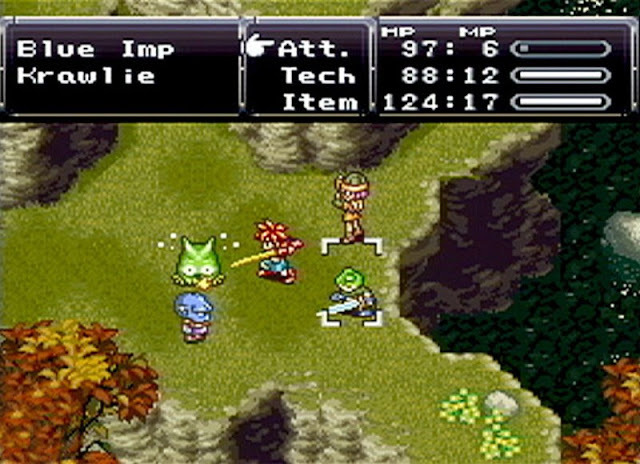 Chrono Trigger was one of those rare moments where all the stars aligned and something absolutely beautiful came out the other end. Major creatives behind everything from Final Fantasy and Dragon Quest to Shiren the Wanderer, Inazuma Eleven, and any number of other well known franchises found themselves on a single team, crafting a single game. Sometimes with "dream team" collaborations the egos and personalities can get in the way, but that didn't happen here, either. What did happen was Chrono Trigger, as close to a genuinely perfect game as they come. Pokemon Red and Blue weren't the first monster collecting games. But they were the two that made the entire world pay attention to monster collecting games. The influence and impact of these two humble Game Boy games can't be overstated; on release people of all ages went absolutely gaga over the adorably cute blobs of pixels that vaguely looked like animal-monsters on the incredibly limited Game Boy hardware. There were 150 or so of these critters, and some were incredibly rare and difficult to catch, setting people a challenge that would take them dozens and dozens of hours of work to collect 'em all. And it was a challenge that, to this day, droves of people happily take up.